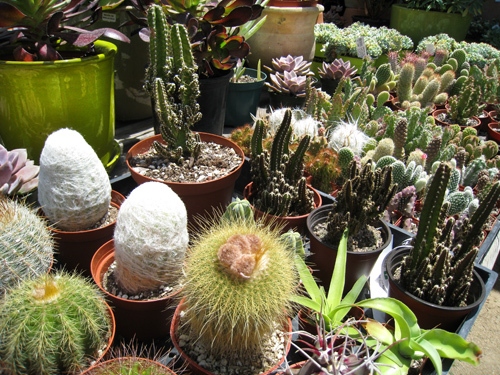 Yamaguchi offers a wide selection of succulents & cacti, both hardy and more delicate, to provide color, style, architectural shape and interesting texture to satisfy more water-conscious gardeners. While these interesting plants lend themselves to rock gardens and contemporary landscapes, those looking for these beauties prearranged in pretty and unusual containers won’t be disappointed! 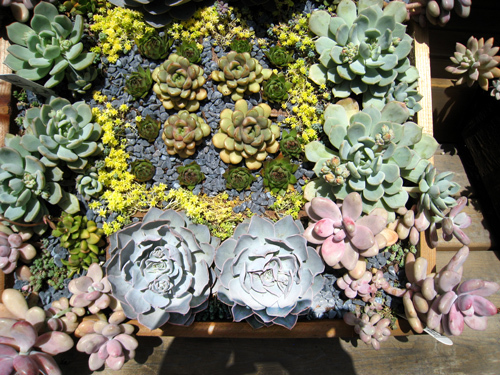 The on-site succulent artist has the perfect centerpiece waiting for your personal enjoyment or as a special gift for your friends and family. 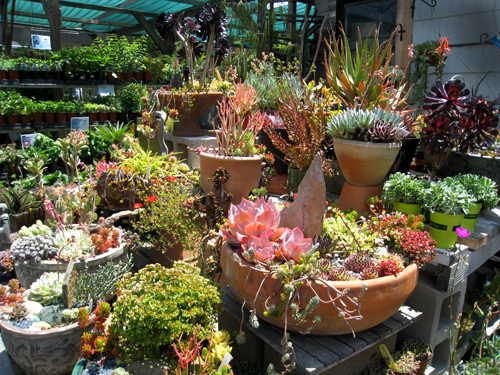 So explore all our varieties of agave, aloe, echeveria, crassulas, stonecrop and ice-plants. Just don’t let the “Ghost Plant” or those pesky “Hens and Chicks” chase you into the “Prickly Pear” because we don’t want to see you crying any “Baby Tears”!